The best conversations about online discussions happen face to face. Those with the most interesting things to say don’t say them online. They don’t want to. I’ve said it before but it needs saying again. We can’t assume everyone has the confidence to put themselves out there digitally or – dare I say – even wants to. Which leads to the question ‘is the choice to be digitally inactive a valid one?’ At a time when the university is implementing a digital education plan and its VLE procurement has resulted in enhanced Blackboard provision, how long can resistance to digital ways of working be condoned? Resistance is mostly invisible. In the online world of RSS and social media-ness, like clings to like. Resistance through choice is interesting. Often it’s about being human in the age in the machine or in Lee Siegel’s words being Against the Machine; Being Human in the Age of the Electronic Mob (2008). Siegel continues the anti-internet diatribe of Andrew Keen in the Cult of the Amateur (2007). Both writers follow Neil Postman’s Amusing Ourselves to Death (1985 revised 2005) and Technopoly: The Surrender of Culture to Technology (1993). Throw in Nicholas Carr with his 2008 question Is Google Making us Stupid? Add the JISC and British Library CIBER report into the research behaviour of young people and put all this alongside Jaron Lanier’s manifesto You Are Not a Gadget (2010) to be afraid, very afraid, of ever logging onto a virtual environment again – although of course we will continue to hook ourselves up, cyborg-like, for as long as the connections make it possible. It’s more than an addiction, it’s become a way of life, but within our mass of digitally enabled lifestyles there remain those who resist, who don’t have internet-enabled mobile technology through choice, who wouldn’t consider enrolling on TELEDA and who value their self-chosen non-internet lives. Perhaps we’ve all been fooled by google. Persuaded by easy access to information and the duplicity of google+ hangouts. We’re all living in the negative utopia of Huxley’s Brave New World. The internet has become a digital Soma-like alternative where we communicate via a machine which monitors and records every interaction for ever. Unless of course we don’t have a digital identity in the first place. Sometimes I feel like Kassandra – tell truths but don’t be believed. 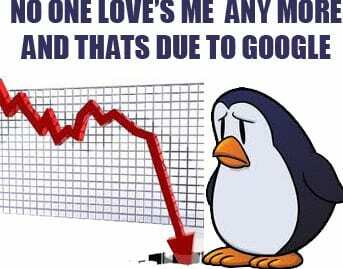 Once you’ve sold your soul to google it’s too late to do anything about it. You can’t delete a virtual self. Even after death it lives on. Sometimes I’m afraid resistance may prove to be the wisest choice. But only time – and a google database – will tell. Keynote Three (SEDA Conference) was apt for a conference on using technology to enhance learning. Titled ‘Fables and fairy tales – how can technology really enhance learning?’ it was presented remotely by Susannah Quinsee from City University London. Using excellent pre-prepared audio and visual resources, Susannah led an exploration of the myths around the application of technology to learning. Key to this were group activities on the use of technology as a transformative tool for enabling interaction with learners. Firstly we were asked to consider cases where technology hasn’t worked. Second Life was mooted. The hype has died down and while many universities have invested in a Second Life campus, there seem to be less examples of good practice; for no presentations at the conference had included Second Life. Secondly we took on the role of Luddite or Enthusiast in order to examine the arguments for and against technology. In my group the Luddites argued that technology supported behaviours which were shallow, superficial, bite-sized, anti-social, breakable and could lead to losing sight of traditional academic values. The enthusiasts argued that face to face sociability was a myth, online communities of practice were powerful aids for learning, the ease of digital access facilitated flexible learning opportunities, virtual discussions offered scope for review and checking understanding, technology could make learning fun, blended learning offered complementary tools which could enhance the learning experience, support independent learning and help students become more reflective, deeper and enquiring learners. Phew! On paper the enthusiasts were certainly in the lead. The final part was a Skype Q and A session with Susannah, who was due to give birth to twins at any moment. Intermittent sound problems could have reinforced the anti-technology argument but to see and hear Susannah in real time countered this more than sufficiently. The Keynote surfaced what for me were many of the key themes of the conference. Staff need time to engage with new ways of working; staff development funding is essential to make this time possible and institutions need to invest in opportunities to make this happen. Technology for learning does not replace face to face teaching; it is complementary to it. Digital literacies are fundamental to graduate attributes and teacher education. The sector needs to invest in bridges which cross digital divides. Ideally, the digital component in teaching and learning should be taken for granted rather than highlighted but we have not got there yet. Digital teaching and learning is integral to teaching and learning in higher education and all teacher education programs should contain content relevant to the world of the digital learner. All conferences have value but in terms of supporting staff using technology for teaching and learning on a day to day basis and this was one of the most useful I’ve attended. It would be a shame if it were to be a one-off event because SEDA have an important role to play in raising awareness of digital divides and creating bridges to cross them. Talking to a group of level three online-journalism students about digital divides. The group made accurate suggestions for what digital divides might look like, including incompatible file formats, unequal access to computers in different parts of the world and people having access problems with content. All perfect examples of digital inequities and discrimination. I’m suggesting it’s the responsibility of the Web Workers (eg developers, designers, content creators etc) to ensure accessibility and a student asks if accessibility should be the responsibility of the user instead. That’s a really good question. We all want to be independent and in control of our lives via all the appropriate tools. In an increasingly digital society, we want equal access to online communication, information and entertainment. So should web workers design content to be accessible, or should the technology have an interface which translates the digital data uploaded by the developer into customised content for the user? The BBC My Display http://www.bbc.co.uk/accessibility/mydisplay/ trial seemed to be a step in this direction. My Display encouraged users to customise the text and colours to suit their own preferences, with these choices being stored as a cookie for the next time. Multiple reasons given for the My Display trial being withdrawn. These included the new and unexpected complexity of digital resources, content being delivered by IP on multiple platforms, operating systems and browsers delivering more customisation features, cloud computing requiring bigger solutions and the move from static webpages to database driven webs with live feeds and richer interactions. The list goes on and the conclusion was the My Display trials were neither flexible nor scaleable enough ‘to cope with the growth, technical diversity and ambition of the BBC’s digital services’. So although we have the access technology to ensure 100% accessibility on the part of the user, it looks like we are moving even further away from the focus on accessible content. This is close to other recent developments which try to shift responsibility for access onto the user. The re is the growing expectation that people should adjust their browser settings and the move towards directing users to separate accessibility web pages; ‘solutions’ which assume a confidence and competence with navigation, form fields and web jargon which many simply haven’t got. These answers are as unworkable as the My Display solution. At the present time it looks like it keeps coming back to the need for inclusive digital content in the first place. Tesco Online Shopping ‘The Saga’ Part 1. It began in a small Yorkshire town with a 30 inch monitor and large screen magnification. The intention was to register with the Tesco Online Shopping site The expectation was half an hour maximum to work alongside Marian who has limited vision and is new to using the Internet. 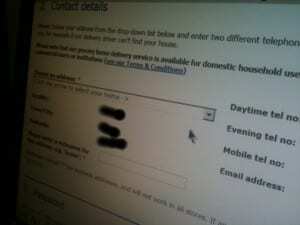 Step 1 the registration process: enter the email address, postcode and clubcard number. We’re using the clubcard number on a Tesco.com card and will be coming back to this later. At this point I would like to say to Tesco that the link entitled ‘Need Help Registering’ sounds like it is offering ‘real’ help not just a couple of lines of text explaining email means enter your email address. Step 2: lots of drop down menus with red asterisks marking compulsory fields. The explanation is in tiny letters at the bottom of the page. 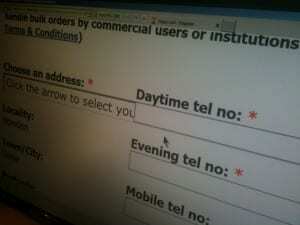 Easy to miss especially if you are new to online forms. Name ok. Address not ok. The screen should look like this. 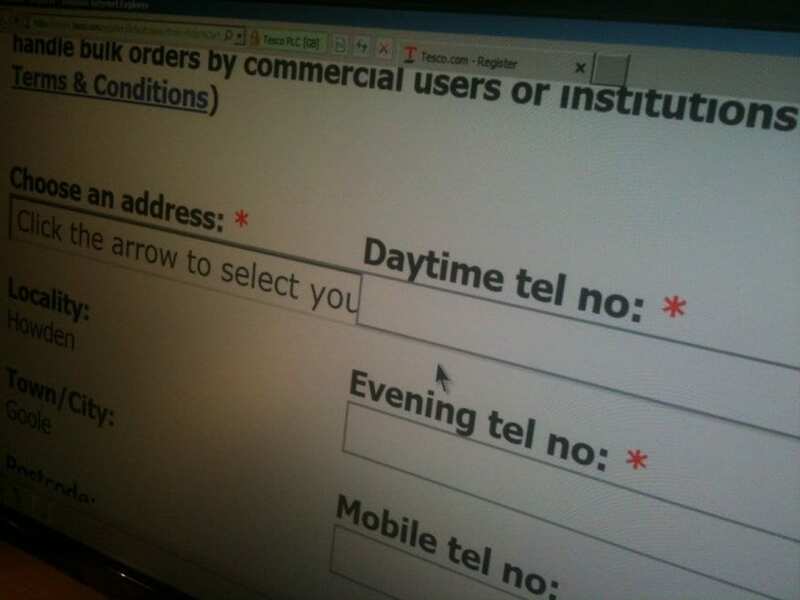 Unable to read the text, or access the drop down function at the end of the form field, this is the point where the mission to register fails – or would do without someone to provide support – which sort of misses the point of accessible online environments enabling personal independence. There are elements of this page which I like. The text resizes well. The forms fields change colour when active. This is useful and more sites should offer it. I liked how we were sent back to the spot where content had been incorrectly entered and the form fields were clearly highlighted in red with red text instructions. However, the choice of red is unfortunate. I genuinely felt I was being told off for getting it wrong. 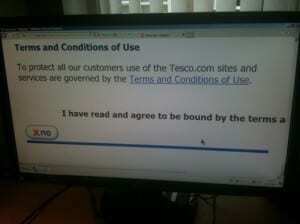 Finally we had to agree to the terms and conditions. This posed another problem. The only visible button said No. You might not think this is a problem but it is. Firstly, how can you tell there is a Yes button hidden on the right. You can’t know what you don’t know. Plus the scroll bars are tiny and merge into the task bar with insufficient colour contrast. Both buttons closer together would be a small step which makes a big difference to the usability of this page. Having located the button we get a message saying Sorry we are unable to process your registration. We are having a problem with the site and are hoping to fix it soon. Or words to that effect. Unfortunately, there is no way of saving the information so at some point it is all going to have to be keyed in again. It was a disappointing to say the least. 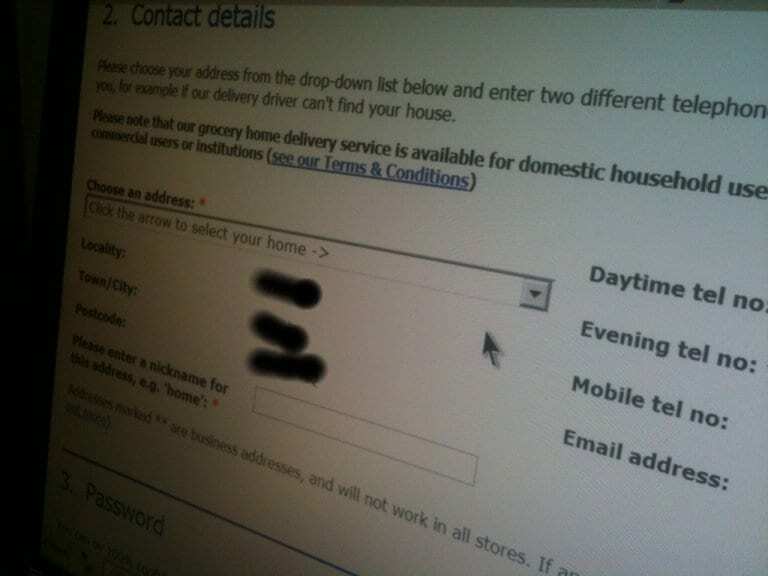 Next: Tesco Online Shopping ‘The Saga’ Part 2. This lack of media awareness is critical. The government’s intention for access to information and delivery of services to be ‘digital by default’ is simply not getting enough publicity; in particular with regard to those 8-9 million citizens the government has identified as digitally excluded. How is the population being told of the move towards an online welfare state? How will they find out about the plans to merge all benefits into a single Universal Credit to be applied for, awarded and managed online – unless the media pick it up and run with it? The government is building a new computer system for this in spite of the failure of the NHS IT project the damming evidence in the System Error report which suggests ‘digital by default’ has all the potential for creating a new digital divide, one which will affect some of the most marginalised sections of society. If you are digitally excluded you are invisible by default. As the platforms for discussion and debate become increasingly digital so those without access are being denied participation. Last week I spoke to a local group of webdevelopers, and yesterday to a group of Year 1 Social Work students, about the social impact of a digital society. We have to keep chipping away at the mountain of invisibility in order to surface these issues. Social media is one of the best places to begin. Blogging, Tweeting, Facebooking – we need to get the message out there so those who have the power to make a difference can start to do so. The Digital Inclusion Commentary site uses the Write to Reply format. Part of the Teaching and Learning Research Programme (under the Technology Enhanced Learning strand) Digital Inclusion led by Dr. Jane Seale University of Southampton is looking at i) Definitions of digital inclusion ii) Why is digital inclusion important? iii) Where does digital inclusion happen? As the affordances of technology are increasingly accepted as having major social significance, so attention is being paid to those who are excluded from participation but through a lens of inclusive (rather than exclusive) practice. The definitions of digital inclusion here recognise a complex array of factors at play but there is little focus on the role of the content creator. If digital resources are not ‘inclusively’ constructed then their creator, who is often several times removed from the user both through both location and time (in particular if resources are reused) may be uploading barriers to access, albeit inadvertently. All the pieces of the inclusion conundrum can be present but a poorly constructed resource, one that is not ‘personable’ i.e. open to customisation, can result in denied access. An example is when, setting aside the cost and availability of assistive software for visually impaired users, the appropriate screen reading software is in place and working, a poorly constructed web resource remains inaccessible. Why is digital inclusion important? This section links social exclusion with digital exclusion. Socially excluded groups identified as benefiting from technology include ‘older people and people with disabilities’. The phrase ‘people with disabilities’ bears no reference to the range of sensory, motor and cognitive impairments it covers. ‘People with disabilities’ can be found in every other social group identified here (the young, parents, adults, offenders and communities). They are also ‘digitally excluded’ in groups not identified as being socially excluded; arguably ‘people with disabilities’ are the most digitally excluded group of all. Not only does the category permeate every social strata, their digital exclusion contains multiple layers such as cost, availability, training and support of the appropriate hardware and software and the widespread inaccessibility of the majority of digital content. Any online forum concerned with technology and disability will testify this is one of the most excluded groups and, already living with multiple restrictions, one that may well have the most to gain from digital participation. Where does digital inclusion happen? Under ‘locating digital inclusion in digital spaces’ there is the first reference to exclusion through inaccessible digital content; in this instance a learning experience in higher education but should by no means be seen as an isolated incidence. The technical, economic, social and cultural tools of inclusion can be in place, but access to participation be denied through poor quality digital resources constructed with no attention to inclusive design. In these cases the location and source of digital inclusion is almost impossible to pin down and identify. The social model may locate digital exclusion in the built environment as opposed to within the individual but it also needs to be emphasised that the responsibility for ensuring accessible digital data is something that belongs to us all. I’ve been reflecting on the concept of Teaching in Public; the proposed theme of the second CERD book. Googling it only returned the C-SAP 2007 Conference Teaching in Public, the Future of HE . It looks like CERD have identified a gap in the market. So what does Teaching in Public mean? With so little out there then this is an opportunity to offer our own interpretations. Suggested strands are Education as a Public Good, The Student/Teacher Nexus and Teaching as a Public Activity; all retaining the student/teacher dichotomy. My interest is the impact of the Internet and the development of OER. For example the Open University’s OpenLearn which includes a course on Creating OER and an OER wiki Other examples of what I would call Teaching in Public are MIT Open Courseware, TED Talks , Wiki Educator and Connextions. Add the P2P virtual university and there’s a lot out there. There are issues around assessment and accreditation but no doubt that the future of higher education is digital. Like it or not we live in a Web 2.0 world. Teaching in Public is a move from pedagogy to folksomony. Traditional educationalists should be feeling afraid. Those yet to engage with the technology should be feeling very afraid. OER (via the Internet) does more than challenge the status quo of HEIs as the gatekeepers of knowledge. OER (and the Internet) open up communication and access to information; the keys to educational opportunities. The primary issues then become digital divides (ensuring equality of access) and digital controls (transmission via cables rather than humans). Is this where the future of HE lies? If the themes include ‘public good’ and ‘public activity’ then access issues are paramount. Digital data not only requires good bandwidth it’s notoriously inaccessible to anyone with sensory, motor and cognitive impairment. Along with the employability agenda, will the primary role of the HEI shift from the transmission of knowledge to the critical evaluation and correct acknowledgment of sources that are already freely available? I’ve few political bones and even less economic ones so will leave those implications of OER on teaching in public to others more qualified, but will offer this; the move to a digital platform, as envisaged by Digital Britain is a mass imposition of change in practice, something notorious for creating resistance. If there should develop an underground movement of analogue protestors, what impact would that have on the future of higher education? 2 Comments on Teaching in Public/ digital britain, digital divide, digital revolution, teaching in public, the future of higher education, web 2.0. The article “Displaced but not replaced: the impact of e-learning on academic identities in higher education” in the journal Teaching in Higher Education, appears to suggest that some staff are threatened by technology to a degree where one describes feeling “out of control” when she started to use PowerPoint in her lectures, with her academic presence “reduced to a mechanical process of pressing a key on the PC to change the slides”. Comments from readers pick up and challenge this resistance to technology; one of which links to David Warlick’s online article ‘If you can’t use technology get out of teaching!’ Harsh words but I remain convinced that rather than pushing virtual boundaries forwards, it’s non-engagement that is the key issue I suspect that the more the label Web 2.0 is used to influence institutional practice then the more those who are not yet blogging or tweeting will switch off. The debate is far from being over. We are quick to praise pockets of good practice but it’s the pockets of resistance that need addressing. p.s. never mind PowerPoint; take a look at Prezi instead! Camfed www.camfed.org is a charity that provides computer training for young women in Africa. Here education is too expensive for many families and if choices have to be made then sons are chosen over daughters. 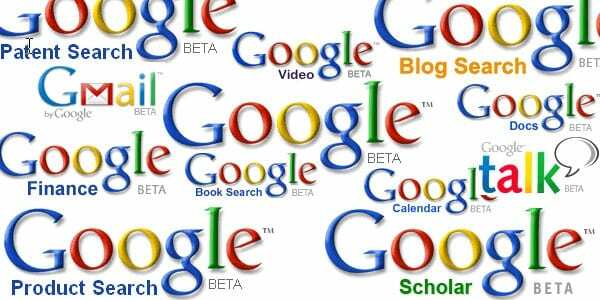 The project is an example of the value of free Web 2.0 tools in particular the Google family that enable virtual communication to take place. The original digital divide still exists in so many places across the world and Camfed is not only a bridge but an opportunity to remind us of the privileges the western world affords.